Making decorated gingerbread men and elaborate gingerbread houses is a thrill for children and create treasured holiday memories for the kids and the adults who help, whether that's Mom, Dad, Grandma or Grandpa, or a team of these special people. Moisture and humidity are the worst enemies (other than nibbling children) of gingerbread cookies and houses. Here's how to keep them tasting great and looking perfect. 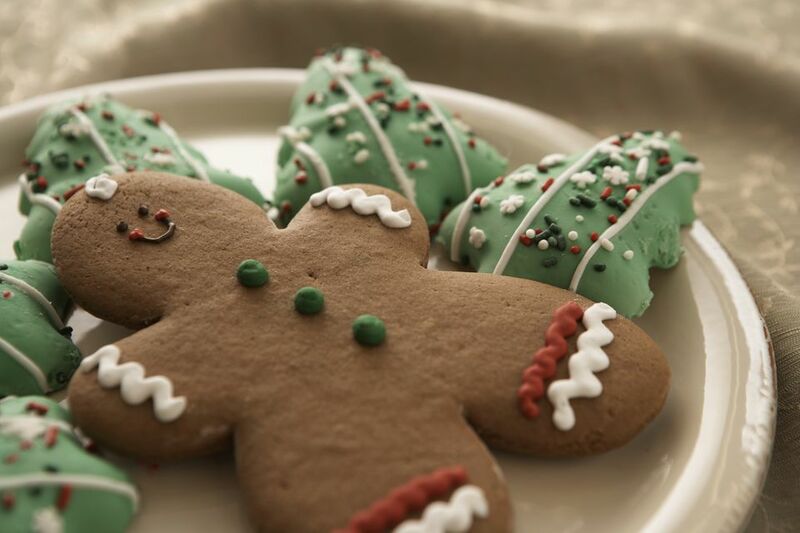 Gingerbread cookies bring delight to kids of all ages. Use the same types of candy and frosting to decorate them as you would for a house; see some ideas below. Smaller bits of candy, like chocolate chips, licorice bites and strings, gumdrops, red hots, and sprinkles fit gingerbread men the best. Vanilla frosting is handy for outlines, and it tastes yummy on gingerbread. It's relatively easy to store gingerbread cookies and decorated gingerbread men. Place cookies in a covered jar or tin or wrap in plastic or foil and keep in a cool, dry place. Gingerbread men require a bigger space and more careful wrapping. If you don't have a big enough jar or tin, make a tent of aluminum foil so that the foil does not touch the tops so the decorations stay intact. Cookies and men will stay soft a long time if they are stored correctly. Decorated gingerbread men can double as a holiday decoration if you store them in a big and attractive glass jar -- it must have a lid -- and tie ribbons around the lid. Add fresh winter greenery for a special touch that also adds a bit of delicious holiday scent. If you want to keep a gingerbread house looking perfect throughout the holiday season, display it in a cool, dry place. Covering it at night with plastic wrap seals out moisture, dust, bugs and other errant inedibles. Properly sealed and protected, you might be able to keep a gingerbread house looking good up to a year. For non-edible creations, spray with a clear lacquer, which is available at craft and hardware stores. You might need several coats for maximum protection. Here's the fun part: decoration. Decorations are only limited by your imagination. Try gumdrops, chocolate chips, peppermints, candy swirl sticks, licorice, M&M's, Snow-Caps, Red Hots, silver dragees, nonpareils, sprinkles, colored sugars, Necco's (good for roof), Frosted Shredded Mini-Wheats or Wheat Chex (good for a thatched-roof look), candied cherries and fruits, Tootsie Rolls (good for fences and tree trunks), raisins, nuts, mini-cookies, wafer cookies, popcorn, cranberries and animal crackers.